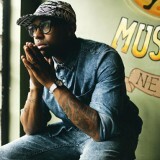 Spin This: "The Only One," "First Sight," "Always Be," "Heavy"
Living under the radar as a burgeoning indie neo-soul act, PJ Morton has built up the kind of resume that proves to be attractive to record labels. He’s a self made-man, whether he likes to call himself that or not. During the last decade, the preacher kid from New Orleans has pumped out a handful of well-received independent albums, particularly 2010’s Never Alone. 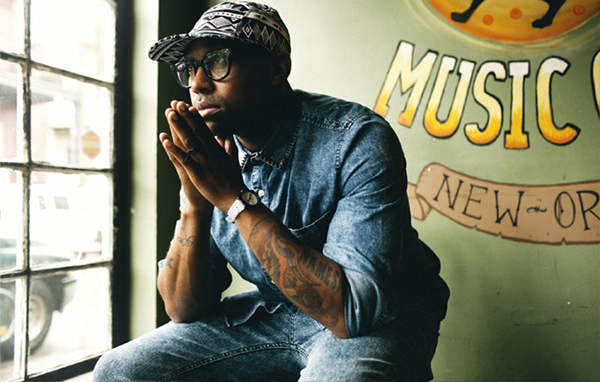 He has worked his way up the ladder of exposure as an ebullient songwriter in both the gospel and r&b marketplace. And for the last couple of years, he filled in the vacancy left by Jesse Carmichael’s temporary departure in Maroon 5, right when they hit their stride as one of America’s hottest commodities in pop. His work ethic exposes him to be a servant to his craft, even when he’s playing behind the scenes. Morton’s first jump into the mainstream aisle, 2012’s Following My First Mind, linked him up with Lil Wayne’s enterprise, giving YoungMoney/Cash Money its first real soul act. The move was definitely a win-win for Weezy, since it took his label into an untapped record buying market that caters to sophisticated grown folks. Unfortunately, Morton isn’t as “overexposed” as Maroon 5’s high-res frontman, which means he has to work just as hard to prove that his music is ready for a larger audience. Unfortunately the free downloadable EP was nothing more than a cautious sampler. Although it was able to serve up a plate of his potential, it didn’t put his very best grub in the ears of the hungry. His response to the EP is his first full-length with Young Money/Cash Money, New Orleans. 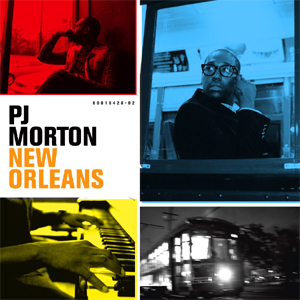 As advertised, Morton pays tribute to his hometown, joining the justice league of Big Easy musicians with a unwavering love for their musically rich city. There’s a few tidbits on the inside that chronicles the jazz and soul music of the city, but Morton has proven to be a magnet to a world of genres. If you’re only judging the book by its cover title, then you’re bound to feel mislead as Morton continues to dance around bigger influences. There’s definitely a Minneapolis funk party on “First Sight,” a feisty Prince-esque track that sounds the most rewarding on Morton’s traditionally laidback soul canvas. Stevie Wonderness parades “Always Be,” while the harmonica-toting Motown legend drops in for a cameo spot on the Musiq Soulchild-ish “Only One.” “Heavy” sounds like it’s been culled from the gravy of “Superstition” and “Living for the City,” but mostly swarms in the swampy gunk of New Orleans blues. There’s a bit of urban funk in the mix and Adam Levine guests with a cool reverbed vocal, but the youngblood isn’t able to fight off the song’s gravitational pull to the roots. It’s as if Morton is deliberately trying to whip out Muddy Waters’s “Got My Mojo Working” on his own generation. Hanging around Maroon 5 long enough may have giving him the inspiration to pull out “Hard Enough,” a midtempo song that drops the urban-spiced reggae of “One More Night” unto a string-laden template ready to launch into the upper stratospheres of AC airplay. Much of the album plays to his singer-songwriter advantages. The hooks are sharper, and his brand of soul feels like they are part of the Stevie Wonder ancestry, even when he’s executing filler cuts (“Trade It All”). But there are still a few grumbles that get in the way. He still bears the problem of not upping the ante on his vocals when needed. He doesn’t beg and plead with the fervor of a New Orleans-bred soul singer. Instead, he cruises way too often as if he’s enjoying a nice ride down the Californian boulevards. And that’s always been his most serious gripe. He also tends to loop the 1-2 sentences in the choruses with the hypnotic drive of Sunday morning black gospel. Certainly that comes from the congregational hymns learned in his daddy’s church. But beyond all of that, Morton’s musical taste buds are like a sponge; he’s picking up habits from those around him and those he aspire to be like. With New Orleans, he properly creates a steady stream for the plethora of styles surrounding him, something that has been experimented but not properly sequenced on his previous albums. If only he would push his vocals a little harder while in the heat of the moment.